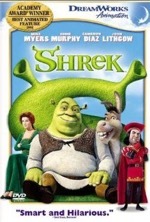 A genuinely hilarious adventure, Shrek is a fairy tale that delivers. Great voice talents, amazing CGI and a heart-warming plot make Shrek the feel-good movie of the summer. An amusing fish-out-of-water tale, Miss Congeniality is a feel good hit that’s an undisputed success thanks to the excellent script and memorable performances. Sandra Bullock’s character is a “tough girl” detective who must go undercover as a beauty pageant contestant in order to bust the bad guy. Swishy Michael Caine is hired to transform the tomboy into a fashion model, and his ongoing failed attempts at making Bullock more feminine are hilariously enjoyable. Candace Bergen plays the controlling pageant organizer and William Shatner is a hoot as the cheese ball emcee. Benjamin Bratt is the love interest; one of his scenes with Bullock prompts the movie’s most quotable section, “You think I’m gorgeous…you want to kiss me.” Miss Congeniality is no runner up, though the runner up in the movie, Miss Texas, had my vote. 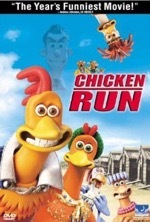 From the director of the Oscar-winning shorts, Wallace & Gromit (Nick Park), comes Chicken Run, a claymation extravaganza starring the voices of Julia Sawahla, Miranda Richardson and Mel Gibson as an American chicken trapped in a British farmyard. Part Animal Farm, part The Great Escape, Chicken Run is full-on comedy that follows the madcap misadventures of Rocky (Gibson) and a group of aimless chickens as they hatch one hardboiled escape plan after the next. The heckling weasels are hilarious as is the flight training sequence, but the laughs really start rolling when the potpie machine becomes operational and when the chickens make a final, frenzied flight to freedom. Chicken Run is clever and witty…perhaps too slick for its own good. Some of the British humor goes right over the heads of American audiences and the uninterrupted torrent of jokes and gags actually detracts from the movie’s overall impact…every once in a while we need a breather. Chicken Run is a bit of a conundrum: it’s wildly entertaining, yet instantly forgettable.